A four-member committee formed by the National Green Tribunal has recommended Rs 171.34 crore fine on German auto major Volkswagen as "health damages" for causing air pollution in Delhi due to excess nitrogen oxide (NOx) emissions. "Estimated cost of heath damage due to additional NOx emissions from the Volkswagen group vehicles is approximately Rs 171.34 crore using a metro city i.e Delhi as a base. The value may be considered conservative due to lack of methodologies for calculating the overall impact of nitrogen oxide on environment in India and hence only health damages are valued. "Further the valuation is for Delhi city considering that the value of NOx is 435 tonnes is released in the city. This is assumed because lack of data on the geographical locations and plying regions of Volkwagen vehicles which have caused the damage and for all the years which have been considered for damage," the committee has said in its report. The four-member panel comprised ARAI director Rashmi Urdhwareshe, Dr Nitin Labhsetwar, who is chief scientist of CSIR-NEERI, Ramakant Singh director, Ministry of Heavy Industries and Prashant Gargava, member secretary of CPCB. It said that longer exposures to elevated concentrations of nitrogen dioxide may contribute to the development of asthma and potentially increase susceptibility to respiratory infections and nitrogen oxide gases react to form smog and acid rain and are central to the formation of fine particles (PM) and ground-level ozone, both of which are associated with adverse health effects. "The valuation is based on per capita income of the individuals in the city. For mortality, value of statistical life is used for monetary estimation," it said. 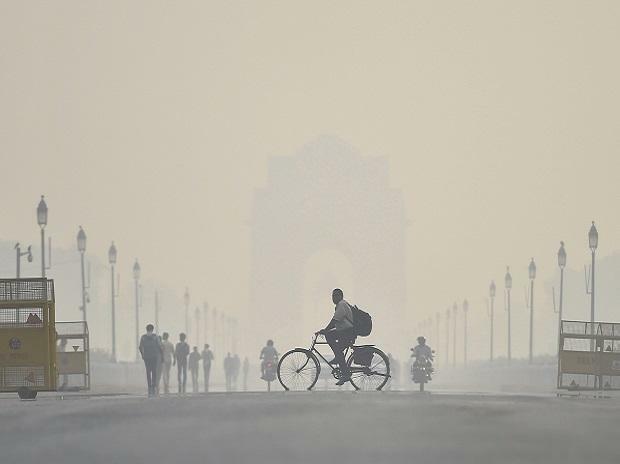 "The total health damage due to air pollution in city is around Rs 157.80 crore. Further, if this cost was to be charged bin 2018, an average inflation of 4.2 per cent is to be applied for two years (after 2016), which comes out to be Rs 171.34 crore," the committee said in its report. The green panel had earlier said the use of 'cheat device' by Volkswagen in diesel cars in India leads to inference of environmental damage and asked the German car maker to deposit an interim amount of Rs 100 crore with the Central Pollution Control Board. It had said that even if there is 100 per cent recall, for the past violation of norms, the auto manufacturer cannot avoid its responsibility. A 'cheat' or 'defeat device' is a software in diesel engines to manipulate emission tests by changing the performance of the cars globally.